This piece is the second installment of my two part series about the flydubai Boeing 737 MAX experience. I suggest you checked the first installment of this series for a review of this carrier's economy class. 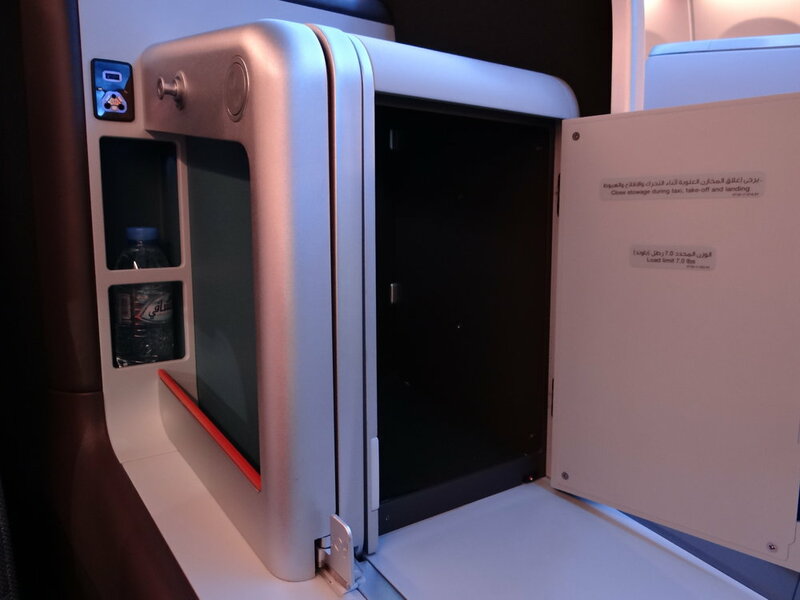 This is the flight report of my experience on flydubai's Boeing 737 MAX business class on the return trip to Moscow from Dubai International. Flight time: 5h 15min approx. First of all, a word about the pre-flight experience. flydubai is based at Dubai International (DXB) Terminal 2. A far less glamorous setting than its sister airline Emirates, although not without its advantages. For example, it is very fast to move through the relatively simple architecture of Terminal 2, it took me literally, under 5 minutes from the taxi to the lounge and, later, a couple of minutes from the lounge to the gate. flydubai has a lounge at Terminal 2, it's a modern two-floor facility where you get the essentials: some self-service food and drinks on the lower floor and a bar on the upper floor. I got there past midnight (my flight was at 3am), so there was hardly anyone around, not even half a dozen people at the busiest time, I guess this is not the case during busier working hours. The lounge is all decorated in flydubai's corporate blue and orange, which gives it a rather distinctive look. Another interesting feature of the flydubai business class is that the terminal (that is overwhelmingly servicing flydubai) has its own dedicated business class waiting room next to the gates and business class passengers get their own exclusive bus too, as you can see in the images above. And we step into the cabin! I have praised already flydubai's economy class cabin, so you can guess the business class cabin does not fall behind in terms of comfort. flydubai may be regarded as a "low cost carrier", but its business class is on a par with many a full service airline. 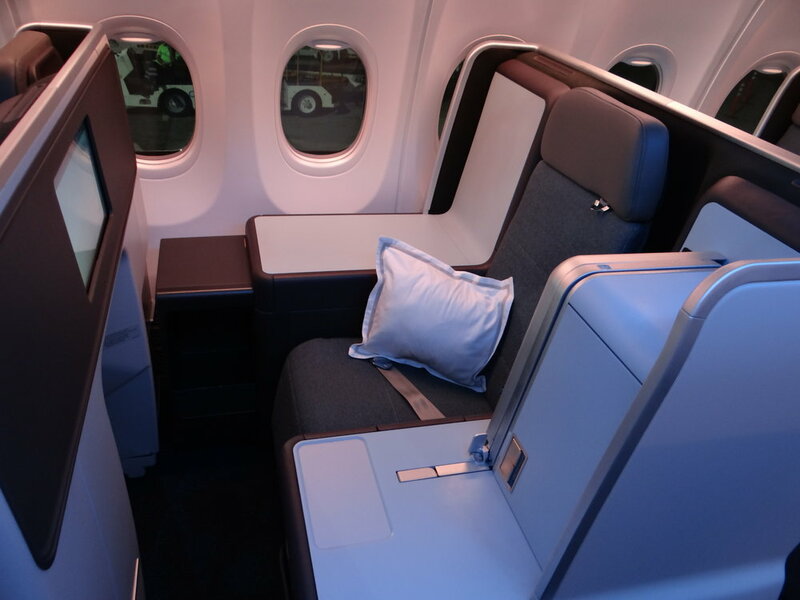 Here you can appreciate how the LED lighting creates a soothing atmosphere, perfect for night flights. The modern, minimal lines, in turn, give flydubai's cabin an appearance of understated elegance. Not only that, but 2 of the seats stand alone on their own (they are internally known as "the thrones" or so I was told) as opposed to the 2-2 layout of the remaining business class seats. I took one of those for myself as the cabin was quite empty for this red-eye flight. Another novelty that I encountered for the first time were these seat belts that are more similar to the ones you wear in a car than to the traditional airline seats. Here below a demonstration of how they work. 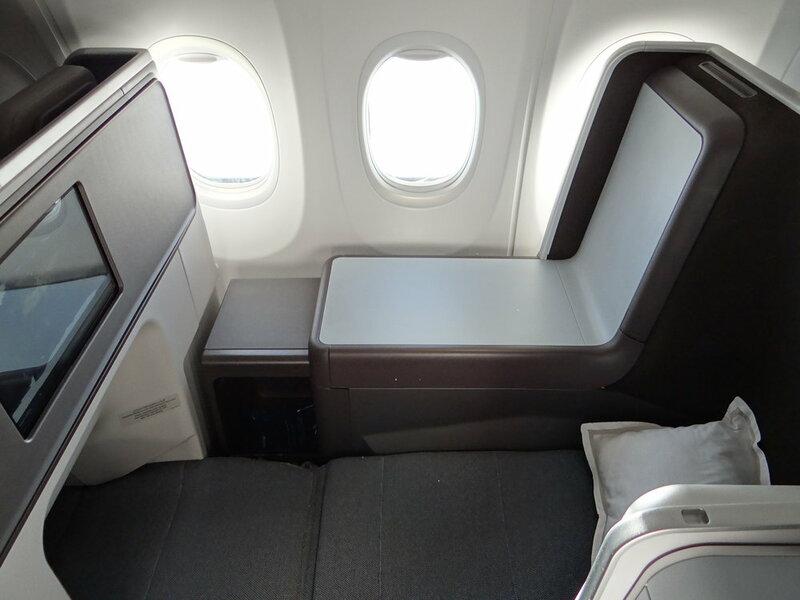 We also got a pair of very solid, noise-cancelling auriculars to enjoy the IFE system, that is, essentially, the same as in economy class, just that business class passengers got it included in their fare and do not need to pay extra for it. And when it was time to sleep after such a tasty meal, the seat turned into a full flat bed. Although it was 3am, we were served a hot dinner. Here flydubai again surpassed expectations. The rations were plentiful and very good and there was a choice of several meals and drinks. I opted for a mezze assortment with fruit and cereal with yogurt, as you can see in the images below. 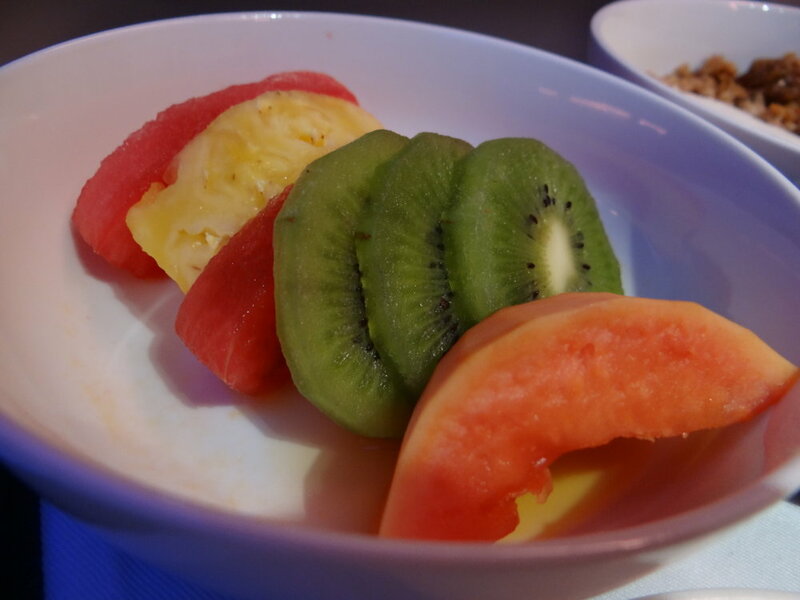 The fruit salad came with some papaya in it, which did really increase my appreciation )! The thick, velvety blankets we got were also in a category of their own. And having reached this point, as you can imagine, I fell asleep and I woke up when we were about to land, which gives you an idea of how comfortable this flat bed seat can be...but is also where this review ends...! A superb product in every way. From the actual cabin to the service, which was excellent at all times. As flydubai rolls it out across its network, as soon as more Boeing 737 MAX join its fleet, its narrow-body business class will provide a great alternative, or in many markets a complement, to Emirates already well reputed premium service on wide-body aircraft.